Herbal Toothpaste Sudanta is a combination of herbs that are used in Ayurveda to keep healthy teeth and gums. This unique paste combines an extract of specially selected herbs that are beneficial to cleaning, refreshing and maintaining perfect oral hygiene. Sudanta has a curative effect on the mouth and teeth as it protects against bacterial infections, tartar build up, sensation and bad breath. Sudanta's daily use is a guarantee for healthy teeth and fresh breath. 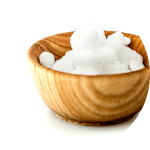 Camphor has traditionally been used for many years to relieve pain and inflammation. Carnation has antibacterial properties and is used to relieve pain in inflamed gums. 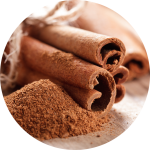 Cinnamon oil is traditionally used to treat toothache and to fight bad breath. 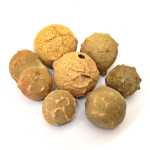 Mufa is used to treat toothache and gum inflammation and has a strong antioxidant property. 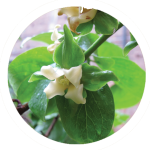 In ancient times fragile branches of the plant are used as a toothbrush and as a specific gum disease. 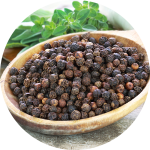 Black pepper (Marica) has strong analgesic and anti-inflammatory activity. To change our lifestyle to the better, we are increasingly turning to the well-known and proven sources of health. Inspired by the millennium Indian Ayurveda natural and holistic medicine system, Sudanta’s toothpaste is the best solution for full oral care. Created by Ayurvedic doctors, modern scholars and physicians, Sudanta combines the herbs used in traditional medicine to protect, nourish, refresh and maintain perfect oral hygiene. 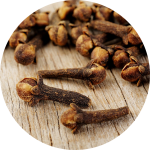 BLOG Created by traditional Ayurvedic doctors, modern scholars and physicians, Sudanta combines traditional herbs, protects, nourishes, refreshes and maintains perfect oral hygiene. One of the biggest advantages of Sudanta is that it does not contain fluoride, for which recent research proves that it causes teeth to rupture. Which foods color your teeth? “Shankara Bulgaria EOOD “deals with the import, distribution, sale and export of herbal nutritional supplements, Ayurvedic herbal cosmetics and other different products. Sudanta is one of our major brands. Shankara Bulgaria is part of the international company “Shankara Europe Holding BV” based in Germany and part of the proceeds are donated to the social projects of the Art of Living Foundation“.